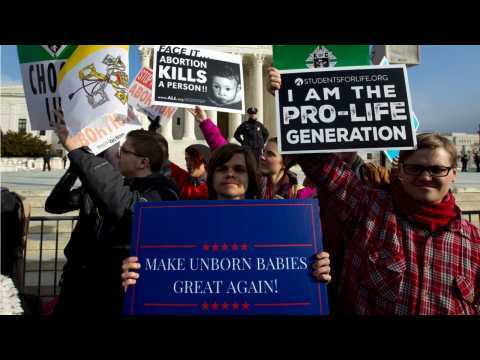 According to a report by Politico, Republicans have increased their focus on late term abortions, bringing new energy to the issue for their conservative base, and forcing Democrats to respond to accusations of infanticide. Representative Steve Scalise, a Republican from Louisiana, accused democrats of 'taking a barbaric position,' saying “It's a radical far-left shift they’ve taken and, frankly, most Americans are sickened by that. On Tuesday night, Donald Trump’s youngest daughter, Tiffany Trump, appeared to show solidarity with some Democrats who wore white to the State of the Union address at the Capitol. According to Business Insider, many lawmakers wore white after Rep. Lois Frankel of Florida, the chairwoman of the House Democratic Women's Working Group, invited attendees to wear white in honor of the women's suffrage movement. During the State of the Union address Democratic women gave President Donald Trump a standing ovation. According to Business Insider, this came after Trump highlighted the achievements of women in 2018. Trump said: "No one has benefited more from our thriving economy than women, who have filled 58% of the new jobs created in the last year." He said American should be proud of this and also highlighted more women serving Congress than ever before. While this moment received a positive response, other statements from Trump received silence. For the 11th year in a row, former president Barack Obama topped Gallup's poll of the most admired men in the world. And this year, Obama is joined by his wife Michelle at the top of the list. Michelle knocked Hillary Clinton from the top of Gallup's list of most admired women. Clinton held the top position for 17 years, but according to Business Insider, this year she ranked third behind Michelle Obama and Oprah Winfrey.